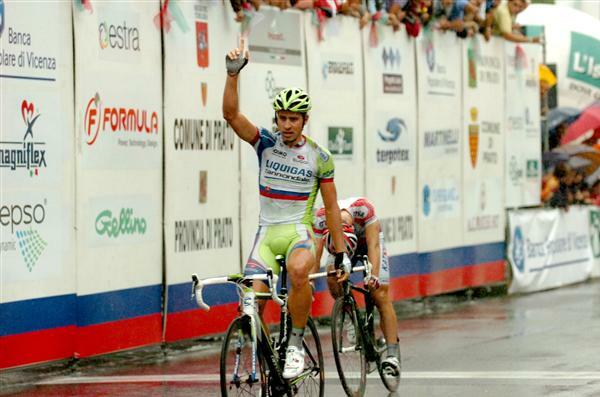 This Tour’s biggest debutante is Peter Sagan, who’s been winning races for the past two years and at the young age of 22 has stepped to the big stage and acquitted himself well, with three stage wins in the first week. He’s gone head-to-head against guys like Greipel and Goss, and has worn the green jersey through the Tour’s first week. He’s well-touted as the next Big Name Sprinter, possibly the first dominant one to emerge in the Cavendish era. He’s done well in bunch sprints but has had difficulty finding his placing in whole-field bunch sprints ths Tour. Obviously he’s got the engine for racing like that – a deep, long power that can be turned to the demands of a sprint’s final kilometer (see, to wit, Phillipe Gilbert’s sprint placings in the Green Jersey during last year’s Tour, and Cancellara’s fourth place in the World Championship last year) – but it may be a racing maturity issue, or something difficult to assess. He’s far more comfortable and capable when the field of sprinters is trimmed down a bit. A smaller bunch sprint in the Tour, or lesser races (basically, nearly any other race). So sure, he could be a seriously dominant field sprinter. But I say no. Actually, I plead no. Sagan is showing flashes of brilliance well outside the scope of a sprinter. He followed and then easily outkicked Fabian Cancellara on Stage 1. In other races he’s acquitted himself well in breakaways, he’s attacked over climbs. People are calling him the next Gilbert, or even the second coming of Merckx himself. Let’s root for him to develop like that – develop the long, deep fitness that is suited to classics, to incredible one-day races instead of to that high-speed final kilometer. No disrespect to sprinters. And clearly Sagan can sprint. But I hope to see a lot more from his burgeoning career. Follow mattio on Twitter @_mattio. This entry was posted in Races and tagged sagan, sprinting. Bookmark the permalink. Your captcha thingie doesn’t work very well. It refused to take my post, and everything I wanted to say got eaten. Sigh. Well I just wanted to say I agree about Peter. The rest…well. Phooey.